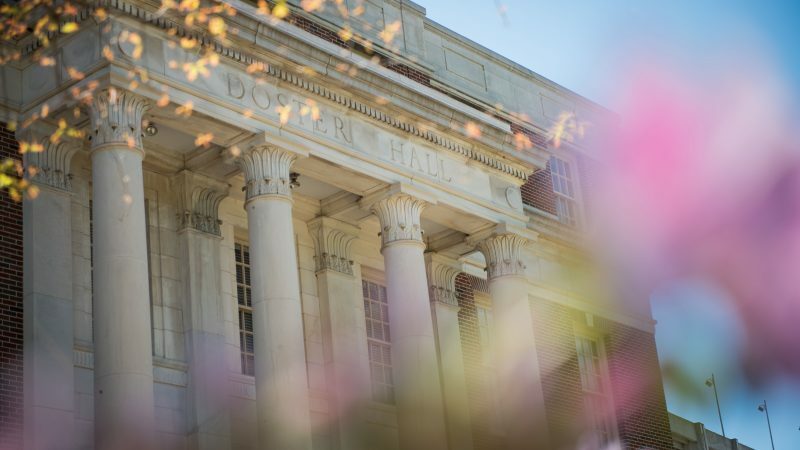 TUSCALOOSA, Ala. — The University of Alabama (UA) department of journalism & creative media will host the 13th annual Documenting Justice film screening at 7 p.m. on Tuesday, April 23, at the Bama Theatre in downtown Tuscaloosa. The screening is free and open to the public. 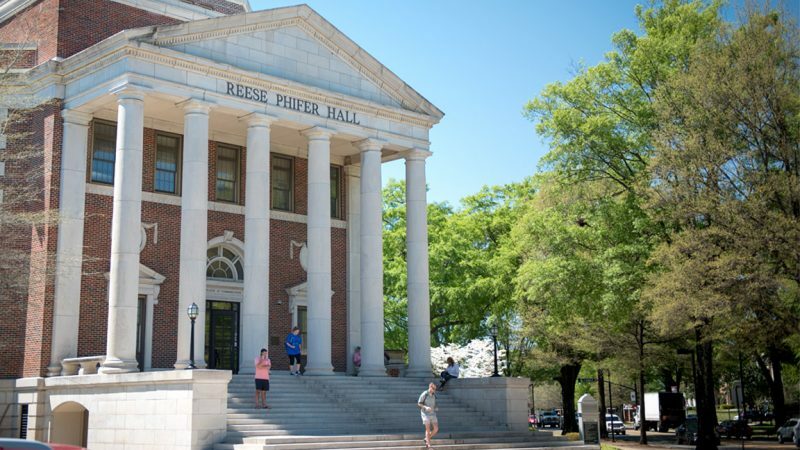 The event will feature short documentaries created by students who dedicated a year to learning how to document and analyze culture and social experience — and communicate about issues of justice and injustice in Alabama — through nonfiction filmmaking. The students, who are pursuing degrees in a wide range of fields, produced the documentaries as part of a two-semester course co-taught by award-winning filmmaker Andrew Grace, director of the Documenting Justice program and instructor in the department of journalism & creative media, and Rachel Morgan, creative director for Birmingham’s Sidewalk Film Festival. UA has offered the Documenting Justice course since 2006. The 2018 Alabama Forensic Council team at last year’s Forensics National Showcase. 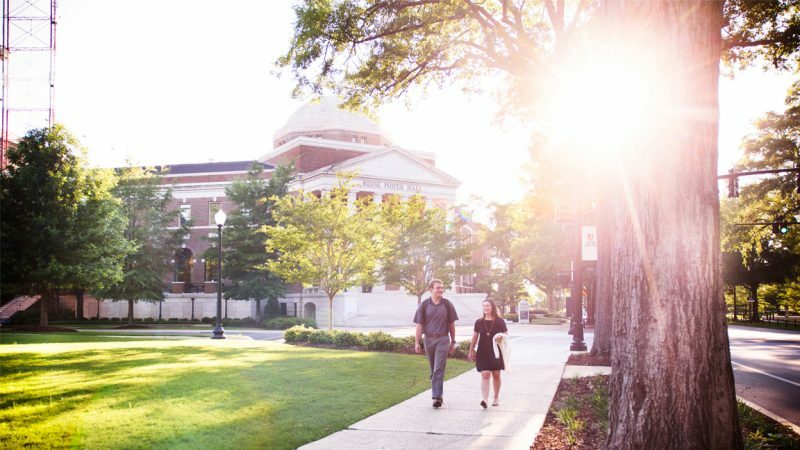 TUSCALOOSA, Ala. – The University of Alabama College of Communication and Information Sciences (C&IS) and the Alabama Forensic Council will host the 2019 American Forensics Association National Individual Events Tournament (NIET) this week in Tuscaloosa. The tournament, which runs from April 4-7, will feature 700 students from 58 schools, including the University of Texas, Ohio University and the University of Florida. The NIET headquarters will be located in the Ferguson Center, with Lloyd, Bidgood, ten Hoor, Morgan, Reese Phifer and North Lawn Halls all hosting individual events. 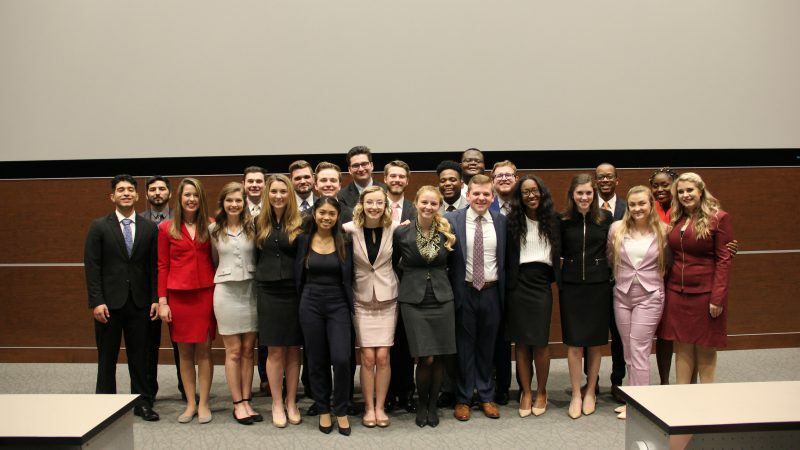 The University of Alabama will send 25 students to NIET, competing in 66 events, which is the maximum number of events in which a team can participate. 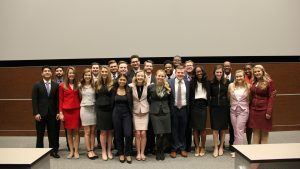 The Alabama Forensic Council is competing to finish as one of the top five teams in the nation for the third consecutive year. Founded in 1946, the Alabama Forensic Council is the oldest co-curricular organization at The University of Alabama. 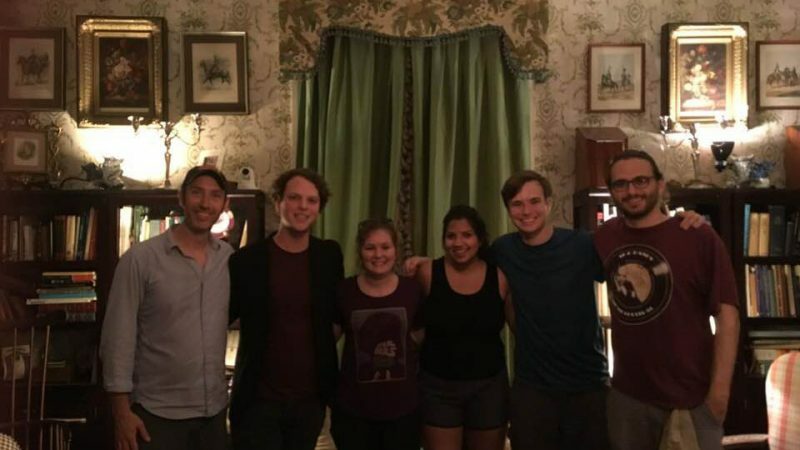 Student members of the council participate in the University’s forensics program & attend both the regional and national intercollegiate forensic competition. Dr. Chandra Clark and Professor Scott Hodgson from the University of Oklahoma with students from The University of Alabama and Oklahoma. Assistant professor of journalism and creative media Dr. Chandra Clark just released new videos about covering Hurricanes Florence and Michael, which struck North Carolina and Florida in 2018. They’re part of a larger documentary series named “First Informers” which highlights the role of broadcasters during disasters. A collaborative effort with the University of Oklahoma (OU), the award-winning series documents the valuable role broadcasters play in times of emergency following severe weather events. Viewers hear directly from news anchors, field reporters, meteorologists and local officials who live and work in communities affected by the weather events. The First Informers videos are shared with regulators at the Federal Communications Commission, the White House, members of Congress, and state broadcast associations, to demonstrate the unique role broadcasting fulfills during times of emergency. To that effect, the Omnibus spending bill, which passed into law in March of 2018, included an allocation of $1 billion dollars for radio and television broadcasters for the spectrum repack, and it broadened the definition of “first responders” to include these broadcasters. This provides special consideration for broadcasters in times of emergency, including access to necessities such as emergency generators crisis areas. The First Informers project series has documented local broadcasting in several notable severe storm events over the past 8 years. 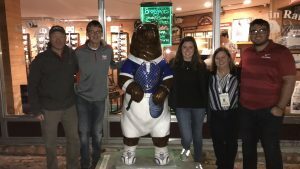 Together with Clark, Prof. Scott Hodgson of the University of Oklahoma and a collective of students from Oklahoma and Alabama have partnered with the National Association of Broadcasters and the Broadcast Education Association to produce 31 videos (or mini-documentaries). These include the 2011 EF4 tornado in Tuscaloosa, the 2011 EF5 tornado in Joplin, the 2012 hurricane known as “Superstorm Sandy,” a 2013 EF5 tornado which struck Moore, Oklahoma, Hurricanes Harvey and Irma in 2017 and Hurricanes Florence and Michael in 2018. The National Association of Broadcasters is the voice for the nation’s radio and television broadcasters. As the premier trade association for broadcasters, NAB advances the interests of its members in federal government, industry and public affairs; improves the quality and profitability of broadcasting; encourages content and technology innovation; and spotlights the important and unique ways stations serve their communities. For more information, visit nab.org. Corrao, who served as a producer for the video, and Higgins have been friends for years, so when Higgins wanted to create a music video to promote his new album, he approached Corrao. However, Corrao wasn’t sure his schedule would allow for him to fully commit to the production as much as was necessary, so he turned to one of his students, Reagan Wells, a senior journalism and creative media student from Galesburg, Illinois. For Wells, the project was an example of great timing. The opportunity presented a new challenge to Wells, who had never directed a film before, but wanted to add portfolio experience before graduating. “Blight” is an ode to Higgins’ affinity for antiquated things, as well as a lament for the destruction of those same things. The video captures that feeling and was mostly shot in an antebellum mansion owned by a friend of Higgins. Filmed in various locations around Greensboro, Alabama, south of Tuscaloosa, Wells said he wanted to capture Higgins’ vision for the video more than anything else. While the shooting only took one day, brainstorming began two months before the cameras ever were rolling. In November, the video was highlighted in “Rolling Stone” magazine as one of its 10 Best Country and Americana Songs of the Week alongside country and Americana mainstays such as Jerrod Niemann and The Revivalists. Wells said he could not have made this project work without his team, made up of fellow University of Alabama students: Alex Cherry as an assistant director and Jeb Brackner and Rhianna Israni behind the cameras. He also cited the importance of “trusting all ideas” in the process and knowing how to delegate duties. The music video for “Blight” can be viewed below. 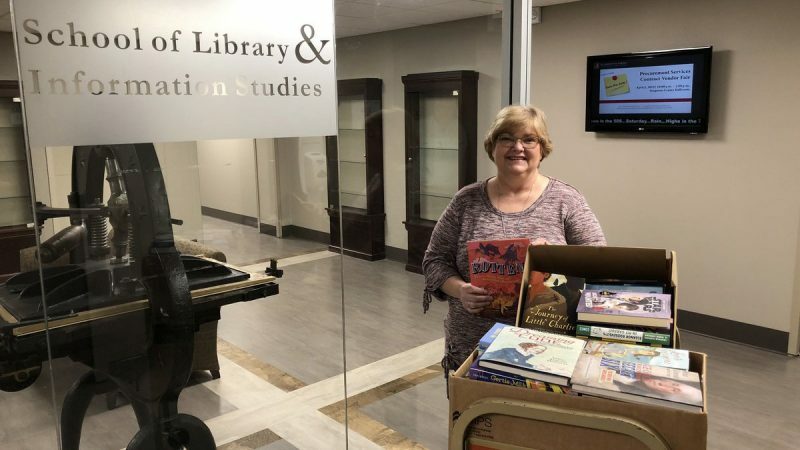 TUSCALOOSA, Ala. – Retired Marine Lt. Colonel and former Mayor of Indianapolis Greg Ballard will be speaking to students at The University of Alabama on February 18. The presentation is open to the public and will begin at 2 p.m. in Doster Hall Room 104. Ballard’s visit is sponsored by the Department of Communication Studies, a part of the College of Communication and Information Sciences. For more information, please contact Dr. Darrin Griffin at djgriffin1@ua.edu. How have monumental changes in media affected activism in the digital age? A new documentary, “Hope & Fury: MLK, the Movement and the Media,” tackles this question by looking at the roles the media played and continues to play in the civil rights movement, from the March to Montgomery to demonstrations in Ferguson, Missouri. 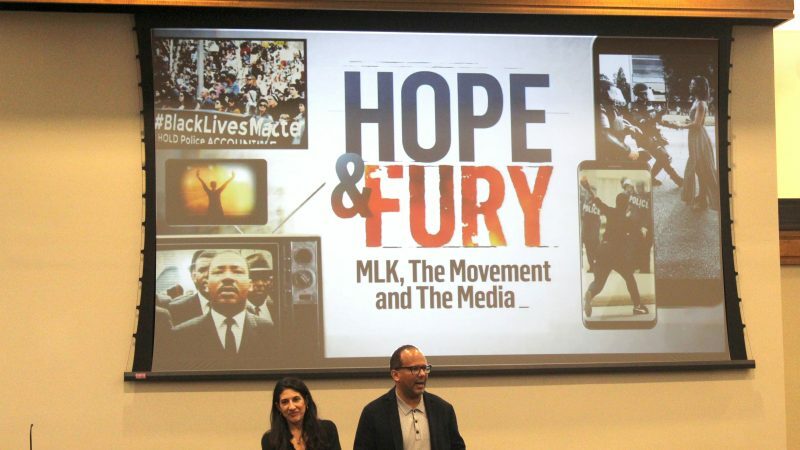 “Hope & Fury” directors Rachel Dretzin and Phil Bertelsen were present at Gorgas Library on Monday, January 14, for a special screening of part of the film and to answer audience questions. Hosted by The College of Communication and Information Sciences (C&IS), this event was part of a greater, university-wide celebration of Dr. Martin Luther King, Jr.’s birthday. The film is narrated by NBC anchor Lester Holt and features interviews with prominent journalists and civil rights figures like Al Sharpton, Tom Brokaw and John Lewis. The screening was the first of 16 events during January at the University celebrating the life and legacy of Dr. King. 100 years ago, newspapers and radio stations were the only news media. 50 years ago, television news became king. Today, news is an instantaneous process, thanks to the rise of social media. Higher-quality smartphone cameras can broadcast around the world in a matter of seconds by millions of amateur photojournalists. As a result, the nature of activism has changed significantly. As civil rights demonstrations continue nationwide in places like Ferguson, Missouri, social media has become the most popular and immediate outlet for news to break. Facebook Live streams, live-tweeting and other methods of sharing that would have been alien to marchers in Selma in 1965 have brought the modern civil rights movement back to the public eye. However, due to the global audiences of social media, the eye belongs to the entire world.